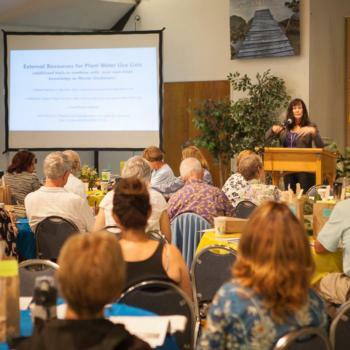 With water scarcity in California becoming an increasing concern and UC Master Gardener at the forefront of inquiries from the public, the statewide UC Master Gardener Program in partnership with the California Department of Water Resources conducted regional drought workshops for volunteers across the state. The workshops focused on the critical issue of water management in the home landscape and provided a forum for discussion on drought-related outreach happening across the state. 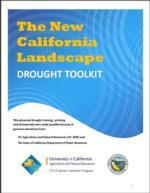 Here you will find resources, documents and presentations from the "New CA Landscape" drought training. Janet Hartin, UC Cooperative Extension Environmental Horticulturalist, presents Maintaining and Existing Landscape at the "New CA Landscape" workshop for UC Master Gardeners. This 73 minute presentation was recorded in Davis, CA on April 7, 2016 and generously paid for through a grant from the California Department of Water Resources. Steven Swain, UC Cooperative Extension Environmental Horticulture Advisor, presents Planning a Low Water Landscape at the "New CA Landscape" workshop for UC Master Gardeners. This 76 minute presentation was recorded in Davis, CA on April 7, 2016 and generously paid for through a grant from the California Department of Water Resources.